The recent death of well-known actor Philip Seymour Hoffman has led to calls for better drug abuse awareness and the dangers of using drugs. The death of the acclaimed actor known for his role in the film “Capote” has also brought attention to the importance of updating your will before it’s too late. News reports have discussed how the mistakes in the actor’s estate plan could lead to trouble in the future for his long-time partner as well as his two young daughters he left out of his will. Philip Seymour Hoffman is definitely not the first person to make estate planning mistakes, and he probably won’t be the last. However, his estate plan can be a reminder to others about common mistakes to avoid, and how to make sure your estate plan is accurate and honors your wishes. It is unfortunate that the actor’s estate plan had a few mistakes because he took the time and effort to make an estate plan. However, his case shows why it is so important to make sure your estate plan is free from mistakes, and why it is vital to update your will and other estate planning documents after major life changes. The first mistake in the actor’s estate plan was not updating his will to include his two daughters. He included his first son in his will but failed to include his daughters. This could make it difficult for his daughters to receive inheritance and to be treated the same as his son. The second mistake is not utilizing the benefits of having a trust. 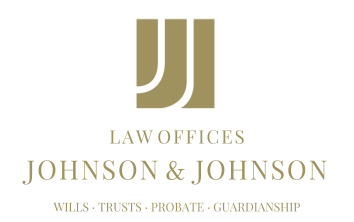 A trust can avoid probate court as well as reduce estate taxes. A trust can also keep your information and estate private, which can be beneficial even for families who are not celebrities. The third mistake has to do with his marital status. The actor was not married to his long-time partner. If the couple had been married, his partner could have qualified for a deduction under estate-tax laws because of their marital status. Because the couple isn’t married, part of his estate will have a higher tax rate, leaving less money to his partner and family. Individuals should learn from these estate planning mistakes to make sure their estate plan is able to honor their wishes and be as beneficial as possible for their families.